Monitoring of humidity within an enclosure is essential in providing every species with the correct environment. 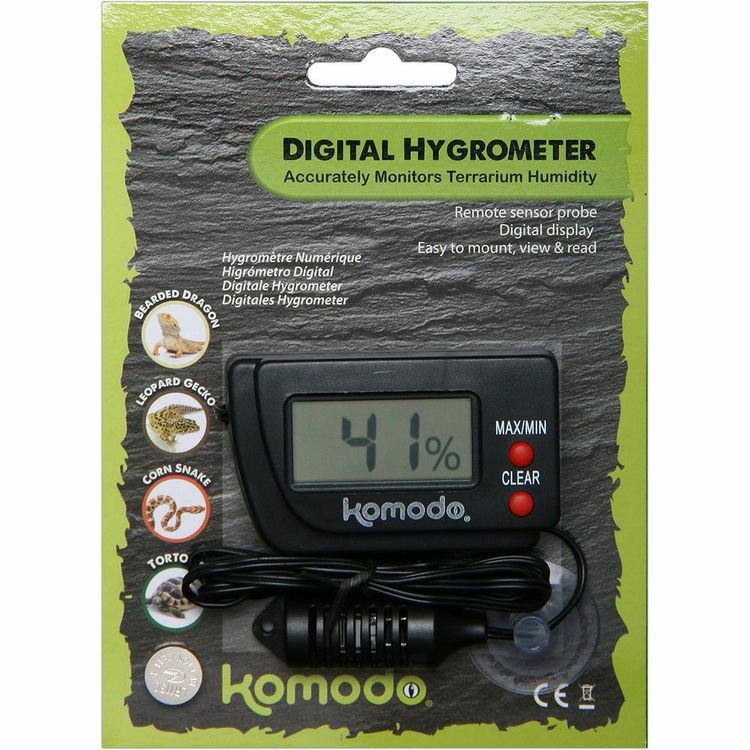 The Komodo Digital Hygrometer accurately monitors humidity using a flexible remote sensor probe. Easy to view and read digital display.